Welcome to the the Department of Engineering-Physics-Systems (EPS) at Providence College. Our department offers undergraduate programs that prepare students for careers in applied science and engineering. Minors in applied physics and systems science. We hope that this site will show you the amazing research opportunities that our students take advantage of and will answer any questions that you may have about our programs. 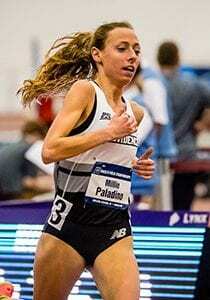 Millie Paladino ’19, an applied physics major, became the highest mile finisher from Providence College to place at the NCAA Indoor Track and Field Championships. Placing third in the nation in an event that only 16 people nationwide qualified for, Paladino ran a 4:38.44 mile, a time that also earned her First Team All-America Honors. PC​ recently received its first major grant award from the Clare Booth​e Luce Program at the Henry Luce Foundation. The award will sup​port eight Clare Boothe Luce Undergraduate Scholarships in chemistry​, applied physics, mathematics, or computer science for exceptional senior female students.